Hi everyone, I woke up to snow on the ground this morning ... is spring going to make its appearance? I sure hope so and soon! 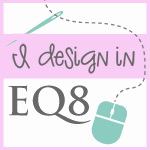 ​ I have been so busy lately with renovations on our house, custom quilting and teaching that I feel I have neglected my blog. I promise to get back at it and soon! ​Saturday I taught a free motion class at Hummingbird Sewing in Barrie Ontario to 5 very nice ladies and we discovered that that my tear drop and echoes design can make butterflies. I love teaching because there is always someone who discovers a new design and expands on the ones I demo. The learning with quilting is endless and so is the creativity, by the end of the class some of these students were free motion quilting actual scenes! Below is a picture of the ladies from my class.